This thread is for all feedback related to the map "Counterattack at Aachen" as part of Relic's 2v2 Map Making Contest. This map has made by a member of the community and they would LOVE of your feedback to help them iterate on and improve their map before the next submission deadline of the contest. 1. Cool water effects. Nice look over all. 3. The load screen looks familiar somehow. Something about it. 1. A lot of hill areas. May cause ground shots, questionable pathing issues, etc. 2. Some point placements are broken. The actual point is too far to the outside of the capture area. The AI may not be able take the points. I have seen kubels have issues on this map. 3. The river is located mostly on the left side of the map. This may not be an issue since there is a mirroring red cover road. High level players will need to make this call. 4. Are there multiple water sources that may lag the game? The water may wrap around the outside of the OOB area and only be one source for the lower level. But there could possibly be three water sources right near each other. 1. The hedgerow left of the middle bridge makes a very tight path for vehicles to get thru. Could remove 1 or 2 of the hedge objects to open it up. 2. The middle victory point second up from the south is right in the mouth of a wall opening. This is awkward for light vehicles to get thru. 3. Base defenses could be a little better. 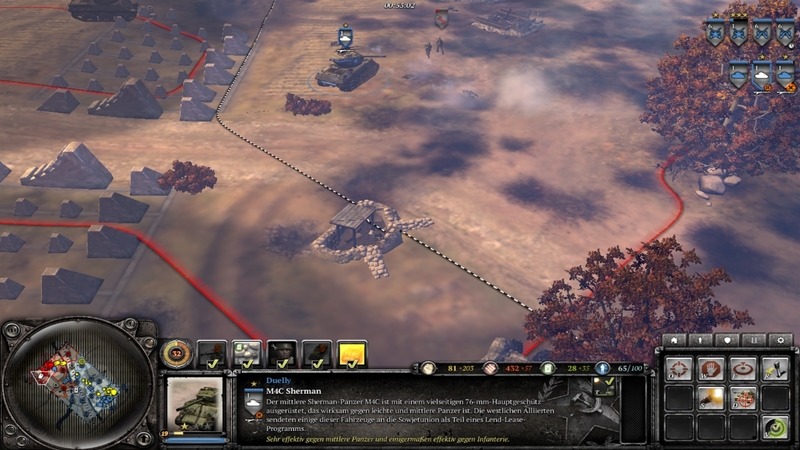 It is possible to attack buildings without being seen by the MG bunkers. 8/10 - The few nagging items drag this map to a 9. The hills and water make me want to deduct another point. I am fearful of many vetoes after someone loses a game because their tank or AT gun will only shoot those poor worms located in the elevation changes. I am also Pro-Worm and am eager to protect their way of life This should easily be a 9 after some changes. This map has an interesting design and is very well presented. The design choice to have many capture points on this map in negative cover is interesting. We would recommend seeking feedback from the community on this. Indirect fire weapons can attain a lot of critical point coverage on this map. However, there do seem to be a number of flanking options so we don't think this is an issue. I like the environment a lot on this one, the river feels like it belongs there and makes the map seen less mirrored than one would expect while playing on it. I had some trouble with the trees on the southern part of the river, mostly around the paths that cross the river, but it's a pretty minor issue. Cover and buildings were enough while line of sight is good without being too open. No other issues found really, it's a well polished map that does what it's supposed to do. I really like your map. In the image you can see that one of the base bunkers is outside of the playable area. Bretty much big map with a lot of open spaces and negative cover. Looks almost balanced for both spawns. Interesting design, contested points (along the rails and near them) have mostly negative cover with few green cover objects on it, will give huge advantage for any kind of mg, making blobing very useless. Mid late game this roads can be used to be covered with mg bunkers or emplacement making its nearly impossible to front attack. Like it. Very good decision with middle garisons and making them almost destroyed, on other hand, north and south garisons are full hp but they can't be abused with forward soviet base for example, since it will not give advantage because of there position, like it. It looks like that north fuel is a bit closer to middle VP then south one, also south fuel can be covered with in green cover on the left, there is almost no cover during capture comparing to north fuel that have both green covers on point and nearby so contesting can be a bit easier. But can't say for sure since can be countered with snipers, mortars, smokes and other things. North and south VPs are ok, such things as bofors VP can be countered without much problem, on other hand, looks like middle VP can be abused with OKW T3 or bofors builded in fuels sector so it will cover both one of the fuels and VP and for left spawn it looks to be harder to destroy it without artyllery because of vision blocking with bushes. Hard but not impossible, lifter terrain on VPs can help to such things as mortars from being rushed to damage this T3 or bunker or emplacement. Looks good, especially river, but roads looks to clean, maybe sprites from explosions will help it look more suffered from war. One problem is only with strange white squares on the terrain near north/south VPs. There is no obvious cutoffs on this map, since most fight will be on center of the map so fuel points will be contested often. So you can't cutoff most of the resource with capturing just one point. Looks interesting and fresh. Feels great. Didn't find any issues. Map feels great with all playstyles. As it was said before most of the fights are on a center of the map. It can be agressive early game with snipers and m3s, can be defensive with mgs, bunkers and emplacements, midgame can be used to flank attacks or sneak partisans decapping. Late game great for all kind of late game tanks aka KT, Sturmtiger, Jagdtiger, ISU and IS. Get rid of strange squares I told about, also base bunker placement bug. A bit more thinking about north or south fuel cover design so it will be a bit mor balanced, and some thinking about OKW T3 that can cover both VP and fuel fact, can't say solution for this at the moment. One of the favourites in my opinion, feels fresh and new. Would give that 9/10 and it could be 10/10 after some fixes. An overall great looking map with a sweet waterfall to boot! However I think there are a few places that could be improved. First of all, player 1's machine gun emplacement on the upper left corner of the map is incorrectly placed out of map, which makes it unkillable and unusable, it will not attack any incoming enemies which makes player 1 more susceptible to early harassments. Other than that, it's an awesome looking and very neatly polished and balanced map to play on!